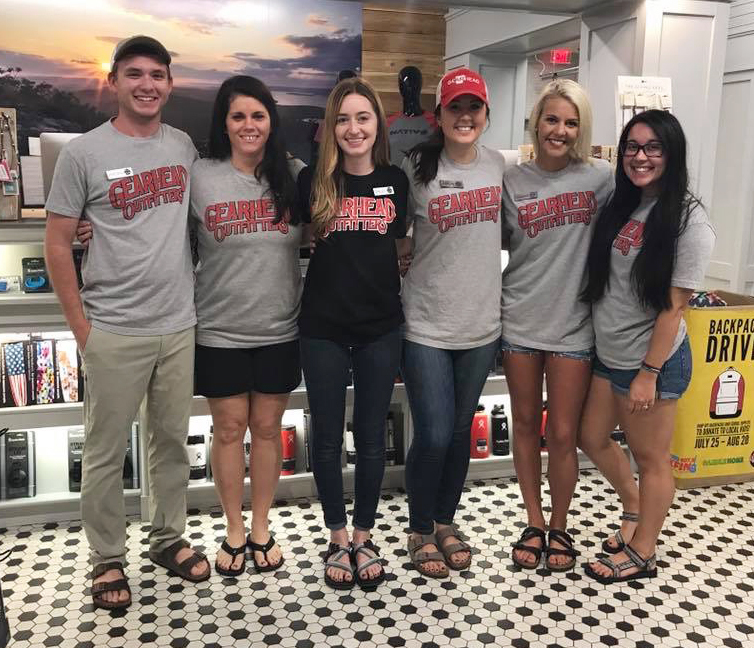 As the weather warms up, more and more customers come into the store looking for sandals and river shoes. From personal experience, I always try to give a nod to Teva when asked about my favorite. Roughly 10 years ago, my parents bought me a pair of blue Teva Tirra sandals for a white water rafting trip in West Virginia. They fit like a glove from the moment I tried them on. The Velcro straps allowed for plenty of room. The arch felt great and the sandals were very lightweight. Leading up to the trip, I wore them everywhere I could– to school, to the pool, and on my day-to-day adventures. I even hiked in them. 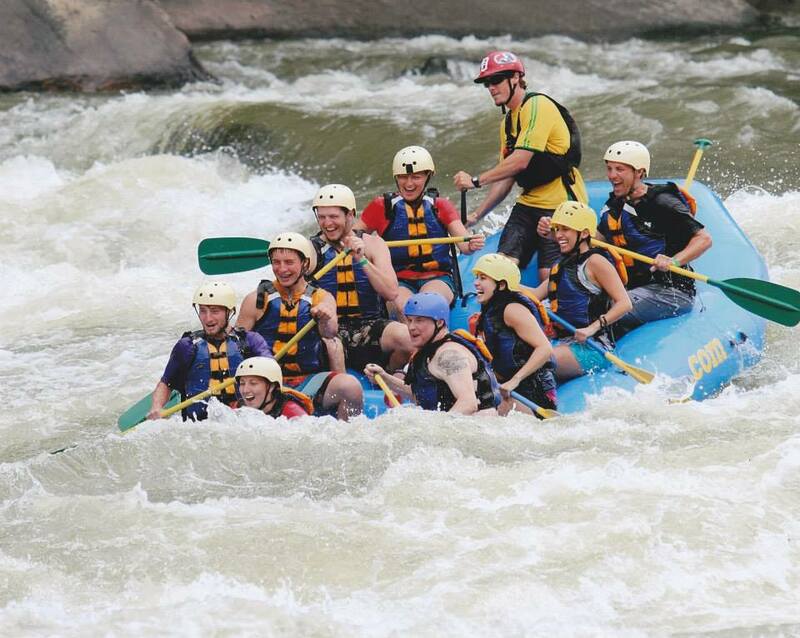 They quickly proved to be great casual shoes, but the real test was the white water. With rushing water all the way up to Class 6 rapids, many tend to lose their shoes due to the lack of adjustable straps or lack of straps in general. In the raft and swimming in the water, the Velcro straps didn’t budge and my feet didn’t wiggle around, even after they got wet. Those shoes became my go-to water shoes after that trip. River, creek, beach, water park, pool– whatever it may be, you’ll find me in my Tirras. The shoe still performs well when wet. The footbed remains comfortable and does not give me any blisters compared to other brands that I have tried. The backing of the straps make it easy to slip back on after getting wet. The upper of the straps dries quickly as well. They are really my overall go-to, everyday shoe. I wear them to work, yoga, the grocery store, the beach, the park, Disney World– you name it and I will probably wear them there, even in the rain and snow. They have been with me all over the country, to the Philippines, and on my many trips down the river, up a mountain, and… shamelessly my many trips to Target. To this day, I still wear those same Tirras. From my many successes with the Tirra, I wanted to buy more Tevas. I can remember helping a customer try on a few pairs of Original Universal sandals. I brought out any and all colors that we had in her size. The last box I opened was a black and white pair, a pattern that I haven't seen just yet. I fell in love. After ringing up the customer, I ran to the back to see if we had my size. It was like hitting the jackpot when I saw my size. I threw them on and, once again, they fit like a glove. I purchased them that same night. The thing that I love most about Tevas are the adjustable straps. Despite my size 7 foot, I have wide feet. I measure right in between a C and D width, the average for women being a B width. Thus, I am unable to wear certain sandals, unless ordered in a wide. In other brands, the footbed may fit my feet but the straps do not or vice versa. 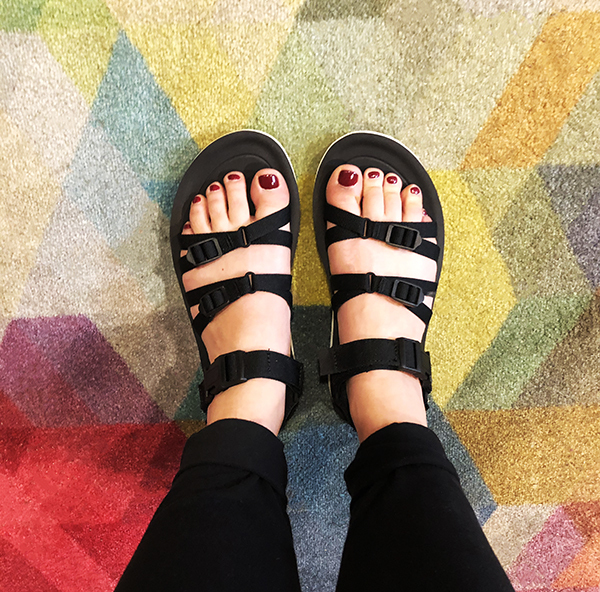 With either Velcro or pull-tight straps, Tevas give me enough wiggle room for my feet to feel comfortable and not suffocated. As I sit here at my desk, new styles and colors are arriving at our door. 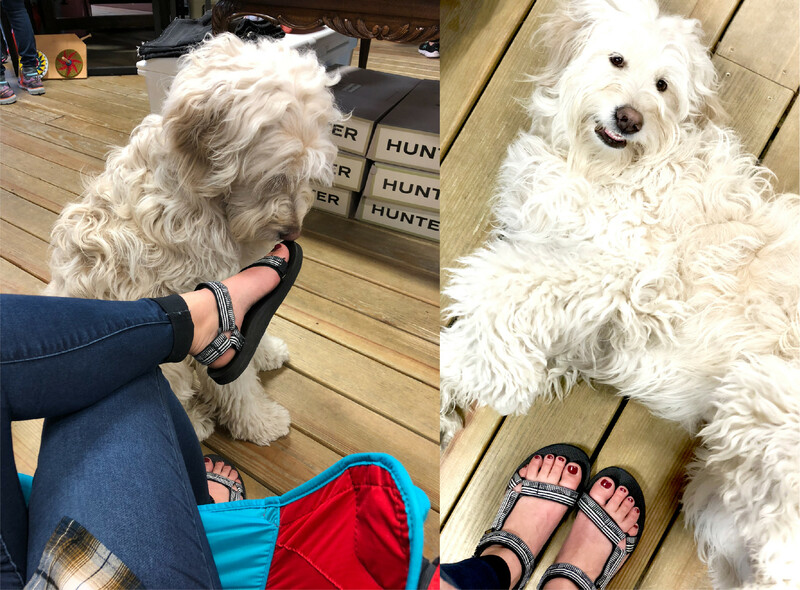 The second I heard that the new Tevas arrived, I ran down to try on a pair that I have been eyeballing for a while now. I immediately strapped on a pair of Alp Premier sandals. They fit similar to the Tirras, but featured pull-tight straps and buckles. Through their Floatlite technology, the footbed is even lighter. Once again, I fell in love. You can guarantee that I already put them (and possibly the other colors) in my layaway. I am super excited to test them out! 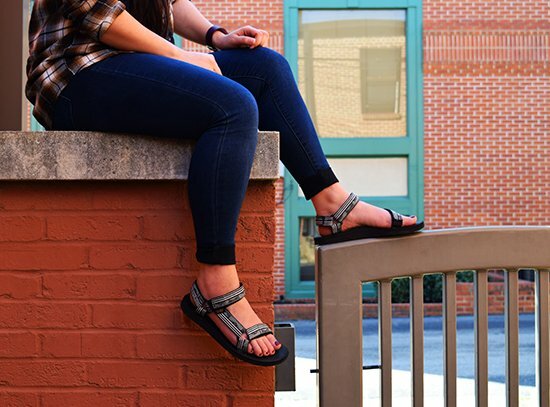 The best thing about Tevas is that they are budget friendly. Ranging from $25-$110, Teva offers flip flops and sandals for an easy spring day or a day out on the water. 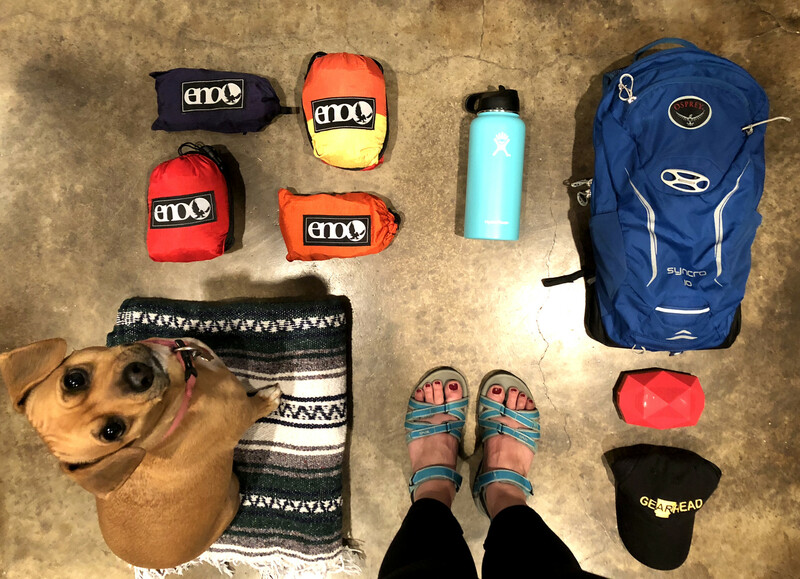 When shopping for your next pair of sandals, try on a pair of Tevas!